This is a bit of a how to. But with poor pictures. A CaffiNation Cooks. Basic edition. So you like high priced spices but hate to spend money? Welcome to my world. However i have a cure for some of the Chili Heads out there. I love Ancho Chili powder, its a smokey spicy pepper that adds a very distinct taste to any dish. My favorite is my three bean chili, but of recent fame is the Spicy Chicken, drowning in coffee. For the amount of the stuff i use, i would need to get a second job to pay for all my chili. So i have a solution. and a secret. 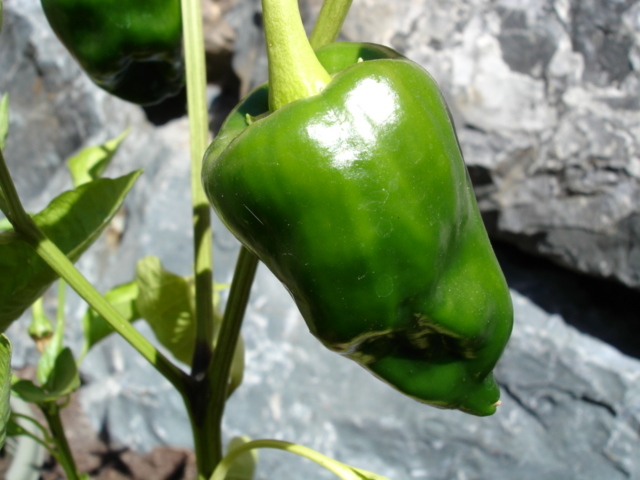 Ancho Chili powder is dried Poblano chili. 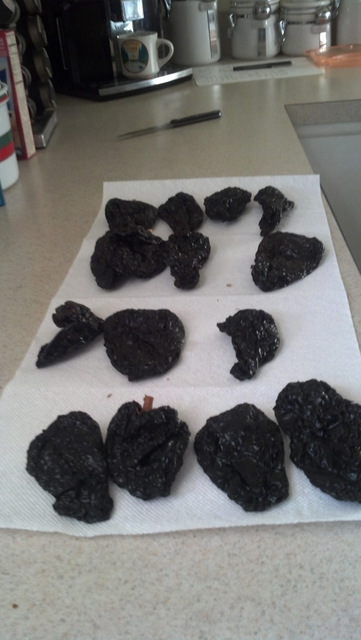 And the local Produce Junction was selling half a pound of dried Poblano’s for 2 bucks… That is a lot of chili powder. About 24 individual peppers. 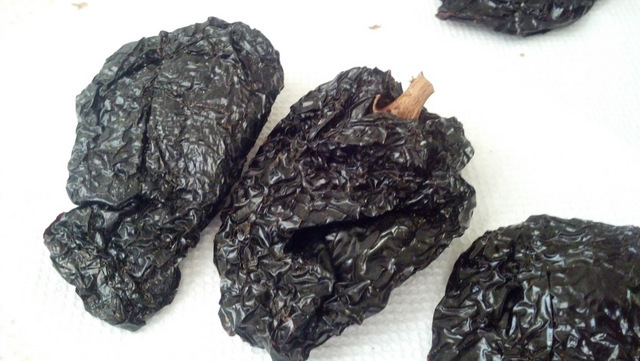 How do you make the Ancho Chili powder? Well it isn’t a simple as you think. You need to use Cooking scissors or a VERY sharp knife to cut the dried Chili into fingernail sized pieces. throw out the stems, but keep the seeds in with the mix. Put you trusty exhaust fan on HIGH and cook the moisture out of the peppers BEFORE you throw them into a grinder. If you don’t do this you end up with chili paste and possibly a burned out grinder. I used my trusty cast iron skillet on low and threw the pieces in. This is a smokey job, so take your time, and keep the heat on low. You will notice two things. First off. The pieces of the chili are actually very waxy, and as soon as they hit the heat they will start to soften. After this you will need to stir them around until they crisp up. There will be a little sizzling and some smoke. Do this in small batches. But all of the smoke is normal. As soon as the chili is crispy pull it off the pan and put it on a paper towel to cool down. After you have enough for the time being throw them in your old blade coffee grinder and hold until the pieces are nice and tiny. The turnaround time is very quick. so hopefully I’ll get better pictures next time. But until then enjoy this fun little tip. You can either dry the Poblano peppers out yourself or find them on sale. A little leg work and you have Ancho Chili powder!